Go APC go! Go all the length and breadth of fixing constitutional democracy. Go as far as it takes to buy over Parliament to make the laws, to buy over the Judiciary to interpret the constitution and to buy up Anti-Corruption Commission to glorify grafts in government. The entire nation of Sierra Leone is behind you the Koroma-led APC Government as long as your squatters can brutally plunder our national revenue to support their excessive opulence while the masses scrape the garbage for daily bread. We will also continue to be with until you successfully complete the process of tribalization and regionalization of the police, the military and the civil service, the parastatal and the government. The happenings in the APC Government today solidly portray a kind of a “’one drop’ like never seen before”. Only takes APC to have the nerve and gut to interpret and use constitutional democracy in the very queer way it is done today in Sierra Leone. Victor Bockarie Foh has become the truest epitome of APC’s unique perception on constitutional democracy. Born to a Limba father and a Mende mother in the Mende heartland of Jimmy Bagbo, Bo District, Foh was educated in Bo School and FBC and was eventually conferred with a BA in Roman and Greek Culture (nick name GRECO), a program of study that is meant only for the academically impaired persons (AIPs). Of course like Foh, His Excellency President Ernest Bai Koroma also graduated from FBC in the same field with a very poor division three, the type of degree nicked named as “let my people go”. Like most Limbas, APC is always the party of first choice where the academically weak govern by a tradeoff that allow the academically strong to defend their governance in turn for corruption. So was Foh APC and so has he lived his life ever since. The good part of Foh though is that he is full of common sense witticism and humor, which he has repeatedly used to defy all odds and to get him to where he is today. Foh is now well slated to becoming the next president of Sierra Leone, which could be broadly welcome across the country. Foh joined the APC Party under the stewardship of Siaka Stevens, his political mentor and kinship, and later became the most powerful District Officer (DO) he was. It was during his tenure as DO that Foh perpetrated a graft of an epic scale that later went down the records as the worst vouchergate in the history of Sierra Leone. Due to the magnitude of the graft, Foh was banned from serving in public office for life. That apprehension for the vouchergate of all times forced Foh to lay put for several years afterwards. It was not until the NPRC takeover in 1992 that that ban was mysteriously overturned, opening the way for the ongoing political events unfolding in Sierra Leone today. Foh was given back his freedom by the NPRC regime to later become a running-mate to the APC Flag-bearer Eddie Turay in the 1996 general elections. Although APC subsequently lost the elections to SLPP (led by Ahmad Tejan Kabbah), Foh went on to become a Member of Parliament (MP). This was the good part of the proportional representation (PR) system used in that election as the brutal civil war was still raging in several parts of the country. Of course Foh, like APC, never genuinely wins elections and only something like the PR system or underhand games assure him a victory. Foh is a political wizard (or a political crook if you will) who always exploits subtle loopholes in the constitutions of the organizations (including the national constitution) he serves to make his way out. This makes him the very astute politician he is today, now the go-between man among the northerners, southeasterners and the westerners of Sierra Leone. So Foh was pretty much an MP for no constituency for a couple of years before his wanton greed for power and wealth again led him to join the brutal AFRC regime as a Top Finance Minister. It was in that position as AFRC Finance Minister that Foh again achieved another level of fame as international sanctions buster. The vouchergate scandal was subsiding and Foh badly needed a new face to be recognized by and judged by history. It was not until the Nigeria-led ECOMOG flushed AFRC out that Foh was disposed from his infamous AFRC Finance Minister position. Foh was rounded up in that military drive, tried and sentenced to life imprisonment at the Pademba Road Maximum Prison. But as Foh has endured the odds for his bad judgements, so are the evens now brought into his life by his rich real-life experience. Of late, Foh has played docile in public but wittily domineering behind the scenes; earning him a strong reputation with both APC and SLPP heavyweights. While serving what was supposed to be his end, Foh once again broke loose from the Pademba Road Prison during the second coming of AFRC in January 1999. Foh seized that life-saving opportunity to horridly escape and seek refuge in Liberia. Following the passing of amnesty for all the AFRC Junta members, Foh again seized the chance to return to Sierra Leone to continue his unfinished business in politics. That was in 2005, and Foh was selected as the top Secretary General of the APC Party. It was in that capacity that Foh cooked an APC General Convention, boycotted by all worthily-aspiring contenders, and single-handedly re-elected Ernest Bai Koroma as the APC Flag-bearer for the 2007 general elections. That was how what is now an unbreakable bond between Koroma and his comrade in GRECO (Foh) all started. As Koroma went on to sweep the 2007 elections, Foh’s position in APC became consolidated, unchallenged and enduring. Then Foh, a professional vouchergater and a condemned prisoner, eventually succeeded in securing himself a future in Sierra Leone. Although relationships in politics are but fickle, the fraternity of political brotherhood between Koroma and Foh defies all dispositions. The type of political bond now existing between the two is one of a kind known as “I scratch your back, you scratch my back”. So Koroma maintained Foh as Top APC Secretary General until his re-election in 2012. To that end, Foh requested Koroma to be sent to Beijing as the Sierra Leone Ambassador to China, a request Koroma faithfully honored. Foh has had about the huge fortune Ex-Ambassador Forna squandered and Foh was therefore to try his own hands at Beijing too. 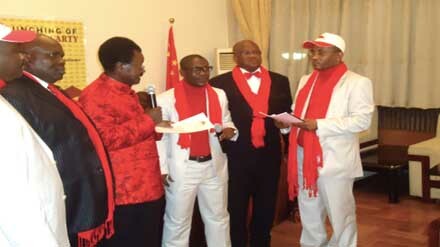 Foh’s appointment as Ambassador to China meant deposing the more seasoned career diplomat, Ex-Ambassador Multi-Kamara, the most liberal, patriotic and descent personality of all APC diplomats. Multi-Kamara all he could to retain the office, but all went in vain. 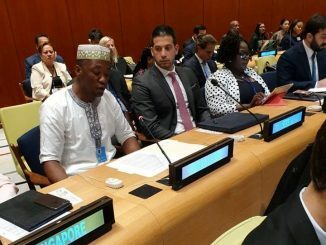 Now that Foh has found a bigger potato to bite, we only hope that Multi-Kamara can be reinstated as the rightful Sierra Leone Ambassador to China. 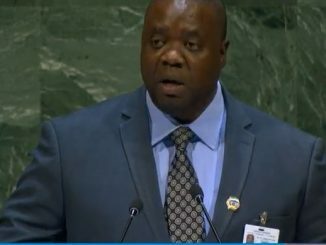 This guy just meant so much for Sierra Leone that Koroma himself will stand something to benefit from reinstating him into the Ambassadorial position. In his nearly two-year tenure as Ambassador designate to China, Foh countlessly shuttled between Beijing and Freetown to secure the position he holds today. It must be stated that it is openly rumored in Jimmy Bagbo Chiefdom that the hard days following Foh’s dismemberment from public life for his scale-less vouchergate led him to give out his father in a sacrificial rite to the gods in return for his restoration to political glory. 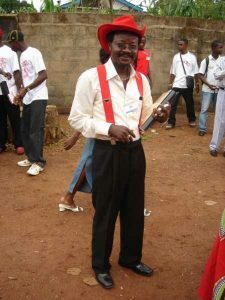 Since then, Foh has believed that he will make it to the top (Presidency) in Sierra Leone someday in his life. This spiritual confidence has always driven Foh in his undertakings of the political risks he has gone through from a badly spotted life to a shiny stardom. Before returning to Freetown, first under the cover of the Ebola Epidemic, Foh swiftly set his contacts right with China’s Business Community (CBC). Now that he is formally appointed as Vice President (VP), Foh’s plan is to use his contacts in the CBC to harvest the wealth he has always sought. Either by hook or crook, it will not be any surprise to anyone to see Foh become the President of Sierra Leone someday in the very near future. We say the very near future because age is no longer on the side of this astute politician who has sacrificed his own father for political stardom. How did all this APC constitutional misrule start in the Koroma-led APC Government? Bad habits build up in bits and persistent oversights on little things encourage the worst developments. Ernest Bai was PDP in 1996, switched coat to APC in 2002 and finally worn the elections in 2007. But that was not until Kabbah, the SLPP President, presided over the discord that threatened to catastrophically break up the APC Party in the run-up to the 2007 elections. As Kabbah was desperate for international recognition as being among the few Africa’s democratically-elected presidents to hand over power to democratically-elected opposition party candidate, he (Kabbah) went all out to skew the election results in favor of his northern brethren, Koroma. That rigging went unchallenged by the Incumbent, the Bar Association, the Civil Society, the Labor Union, the Parliament, the Journalist Association (SLAJ), the Clergy or any other institution tied to public services. There and then the stage was set for what is today seen as overstepping the limits of constitutional democracy. Then that all the institutions with ties to public services were mute over the political happenings in Sierra Leone, the first thing that APC did was to burn down SLPP Party structures across the country, round-sack and beat up its members and violently sexually abuse its women followers. None of those issues was taken up by the so-called Bar Association, Civil Society, etc., etc. Given that passive pass of oversight to APC, the Koroma-led APC Government then set out to systematically plunder public funds, print new currencies with disclosing the amount printed, set up an Anti-Corruption Commission to track down and prosecute all who challenge APC activities, buy out Parliament to enact laws that protect unnationalistic/unpatriotic APC activities and above all buy the Judiciary to proscribe all opposition voices in the country. In fact the Constitutional Committee which wrote the current constitution was mostly made up of APC Party Stewarts. The committee consciously slotted into the constitution numerous ambiguities without providing any backup explanatory document. For instance, the constitution states that the President Elect should be sworn in within twenty-four hours after elections results are announced. What the constitution deliberately fails to state is whether the announcement of the results or the swearing in of the President Elect should be within the official working hours of the state. So APC took advantage of this ambiguous loophole in the 2012 elections to direct the Election Commissioner to announce the elections results and the Chief Justice to swear in the President Elect at a time of the night when everyone was dead asleep. People woke up in the following morning only to be told that APC has won the elections and President Koroma was already sworn in. It is a similar ambiguity in the constitution that APC has capitalized on to sack the VP and APC is sure to win the court case against Sam-Samura, the EX-VP. With all those instruments in place, the Koroma-led APC Government valiantly went on to distort the 2012 elections, announce elections results at odd off-office hour and swear in President Koroma at a time of the night when all the country of Sierra Leone was asleep, a political event never before seen anywhere in the world. All these things went unchallenged, not even by the opposition Parties, Journalists, Religious Leaders, Labor Union or even the so-called Bar Association. The constitutional misuse of the constitution and the laws of the state and democracy in general went on unchecked by any of the bodies that purport to work for public good. The journalists were bought over, the Parliament was bought over, the Judiciary too was bought over and then the Anti-Corruption Commission was set up to prosecute all who resist buying and voice opposition to the status quo. It became but all ironical that the Commissioner of the Anti-Corruption Commission grew more corrupt than the few anti-system scapegoats it prosecutes. All these APC things happen under constitutional democracy and no one dears to stage a challenge. Thus it came but a sudden surprise that the very bodies that have betrayed public good for so long and plunge the public into untold sufferings were now out there to call the sacking of the EX-VP (Sam-Samura) unconstitutional. What a turnaround in hypocrisy! Whose interests are they really seeking? To be honest with ourselves, these bodies are only but again using the situation to get their own share of the national cake; period! Had this not been the case, why was the national demonstration called off in favor of court justice? To opt to go to court under the APC regime speaks volumes about your perception on the APC Government. 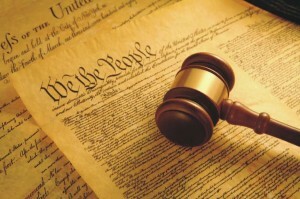 First, you have to believe that there is equal justice in the Judiciary; which of course is not the case. Second, you have to prejudge that you have lost the case as no one ever wins a case against a sitting APC Government (Misprision Of Treason?). Then if you wittily put these things together, you would see the wisdom behind taking the APC Government to court for violating the constitution. It is all but high-end hypocrisy only meant to misuse the vast illiterate/least-educated youths of our beloved nation for personal gains. 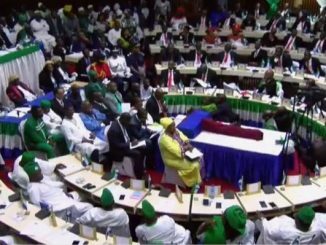 What we know is that over ninety percent of the politicians and the elites of the Sierra Leone society never act on the basis of national interests but rather act on the basis of personal ulterior motives. That is why it has never been possible for the politicians to separate private life from public life, the lack of which causes most of them to be left out halfway down the road in life. That was exactly the case with the EX-VP Sam-Sumana. Sam-Samura believes APC, but unlike Charles Margai who used his influence, Sam-Samura used his wealth to join APC and grab the VP position. Sam-Sumana also used his wealth to set up a Radio Monolog along Printed/Internet Media/Newspaper for his cohort, Tam-Baryoh. Tam-Baryoh, like Sylvia Blyden and the so many other journalists today in Sierra Leone, went on to become the staunch mouthpiece of the Koroma-led APC Government. This sweet science of journalism altogether lost its bearing and pungent taste of selfless service to society to become a sort of an anti-people body driven solely by self-seeking interests. When we saw that happening, we knew that politics had gotten into journalism and that the once sound mindset of society-oriented journalism had completely rotted out. Like Margai and now Sam-Sumana, some of these journalist have now been though their life-long lessons. Ex-VP Sam-Samura was set up and triggered by first kicking him out from the APC Party, a constitutional loophole APC exploited. Then rather than reacting from the perspective of public figure, Sam-Sumana allowed his personal principles (which are in fact by all means selfish) to outdrive his public life. His public reaction and exposure of the rift between him and the APC Party and President Koroma jeopardized him further down the lane. And by the next day, Sam-Sumana was chased out of his residence to seek refuge in the diplomatic space of the American Embassy. 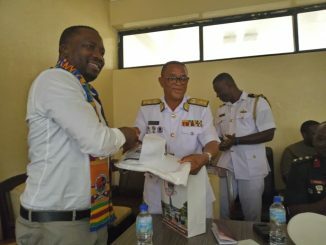 By the time he knew, the Ex-VP Sam-Sumana had completely fell into the trap his trusted APC Party had been horning out over the years and he was fired from his post. 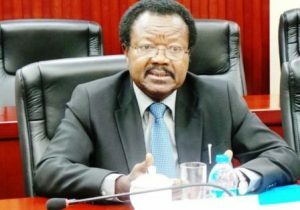 APC just decided to cut long matters short because impeaching the EX-VP Sam-Sumana through Parliament could have yielded nothing otherwise but the same result. By now, you and I know that the Parliament, the Judiciary, the Journalism world, the Labor Union, the Bar Association, the Civil Society, the Clergy and Religion, the Military and Police, etc., etc. are all bought-over poppets of the APC Government. So what outcome will you expect when you take to the court system of justice in Sierra Leone today under the Koroma-led APC Government? We better tow the line or we risk wasting what we should be using to sustain our already deplorable lives. APC is yet to revise the constitution, conduct national census and do voter registration; all of which require substantial time, personnel and money. If the revised constitution fails to change the length of the presidential term, then delays in the census and voter registration in combination with the period of standstill by the Ebola crisis will be sufficient enough reasons for President Koroma and VP Foh to stay on for some additional years beyond 2018. Thereafter, we will have to prepare our minds to have Foh as the next President of our beloved Sierra Leone. Whichever way, we must stand firm to embrace the current system of military injustice, police injustice and above all court injustice. And whatever road we choose, all of us should know by now that we can always easily be the end-loser in the battle in support of APC. So we must totally stop all hypocrisies and personal interests by either sacrificing our all to fight all that is unjust that APC does or by giving our all in support of all what APC does. All indications are that Foh has all the chances to be the next President of Sierra Leone. Apart from being among the most senior members of the APC Party, Foh is a personal friend, a kind of a bed fellow, to Koroma. Foh and Koroma are in a huge bond of brotherhood, a bond that is tested and proven beyond cracks. So to quieten the growing infighting within the APC Party, Koroma can resolutely impose Foh over all contenders as his successor and John Sesay as his running-mate for the next general elections (whenever it is held?). The good thing about having Foh as the APC Flag-bearer is that although the southeast does not specifically like him, it equally will not reject him. So Foh can have a lot of southeast vote because of his tribal and regional orientation. Equally, Foh can draw a huge north vote because of his party orientation. So Foh can beat hands down weak SLPP candidates like Maada Bio, Kandeh Yomkella, Andrew Kelie, John Benjamin, Ernest Domahina and the likes. In fact most of these prospective SLPP Flag-bearers owe Foh so much that any contest stage against him could at best be ceremonial. So ride on Foh (Mr. High-barb) as the constellation of stars is now in your favor and we wish you every good luck in your political endeavor! Ex-VP Samuel Sam-Sumana got set up and caught up by his own Alma-mater Party, a party he joined but never fully understood, a party he massively invested in but never fully assimilated him. Sam-Sumana and all the likes must know that APC has a Professional Taskforce dedicated only to researching lawful constitution maneuvers. The sacking of Sam-Sumana was not any incident of chance but a very premeditated, carefully thought-out and a deliberate political move. The best Sam-Sumana should have done was to accept the quiet resignation proposed to him by that clandestine APC delegation that met him under the darkness of the night. Sam-Sumana would have used that clandestine maneuver to rip a huge gratitude from the APC Government (including a life-long pension, a mansion, a posh SUV, etc. ), all of which he has now lost. For Sam-Sumana or any other person or body to take APC Government to court in Sierra Leone under APC rulership is in fact a conscious or sub-conscious attestation of trust in the APC regime. And as we know it from our past experiences, no one can ever win a case against APC Government while the government is still in power. Never! So it only absolute stupidity in massive naivety that is driving Ex-VP Sam-Sumana to take the Koroma-led APC Government to court. Before even the books open, Sam-Sumana must contend that he has lost the case. No more cause for any further fuse. Did I hear Dog Eat Dog? How Would Foh Enjoy His New Post As The Top Sierra Leone’s VP? May The Goodness Of The Lord Our God Forever Be With Sierra Leone!